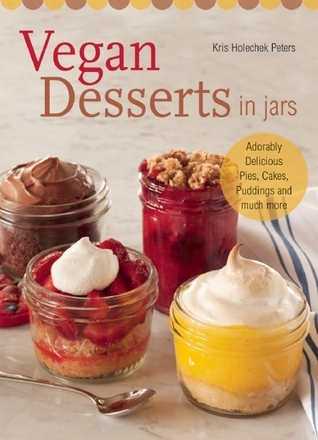 This book is a nice recipe book for those interested in making vegan and / or individual desserts. It is different from any other book in that all of the recipes are made an individual jars. The pictures are good, however I would like every recipe to be accompanied with a photo. This book can be enjoyed by anyone. The recipes look good but there is just way too much sugar in them for my liking. It also would have been nice to be given gluten-free options for the recipes. Kris Holechek Peters - Kris Holechek Peters grew up in her grandmother's kitchen, absorbing every flavor and technique until she was able to perfect her grandmother's favorite baking recipes. When she became vegan, Kris learned to create those old family favorites and exciting new baked treats without using any animal products.Kris lives in the Midwest with her kitties and an excessively large collection of Bundt pans.